Arguably the biggest shift since the internet itself, mobile apps are becoming a primary preference for consumers, and show no sign of slowing down. 52% of the time we spend on our phones are on apps, making mobile apps the new medium for businesses to communicate with their customers. People now expect businesses to have native apps which outstrip a website in in both features and utility. That’s where Regent Branding comes in. Regent Branding has a dedicated app development team who are experts at creating flawless native mobile app experiences. Our team include insanely talented developers and designers who work at the very cutting-edge of mobile app technology. Save up to 55% on the cost of your app when compared to other agencies. One fixed-fee with no nasty surprises or ongoing fees. A 1-year guarantee to cover you against any bug fixes. Monthly payment plans available with 0% interest. Every app conforms to Apple’s and Google’s quality criteria, with our designers ensuring it’s a pleasure to use and looks stunning, too. We’re also more than happy to help you get quality installs via our ASO service, meaning we manage your entire mobile app strategy, ensuring we’re accountable to you every step of the way. We’ve sent apps to the top of app stores and generated over 20,000 quality downloads within mere days before, using a blend of paid search and influencer marketing. With RB, we not only focus upon technical excellence during the development of your mobile app, but also have a creative marketing plan ready afterwards, with our marketing services offered at a 15% discount, as you’ll fall into our ‘VIP Client’ sector if you’ve had an app created. 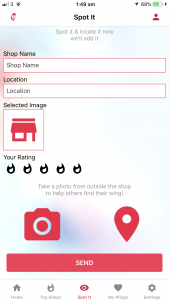 100% of our mobile app clients would recommend our services to others. You’ll get a dedicated account manager who you can call, Skype or Whatsapp during working hours, with access to a team who have made 100+ native apps for both iOS and Android. We rigorously test every app on numerous devices before it’s submitted, ensuring you don’t have to deal with unintended issues later down the line. We use Trello for project tracking, so we’re accountable to you every step of the way. We create extensive documentation to ensure further developments to the app are simple and seamless. Before we begin, we have a chat with you about your app, to fully understand what you want it to do, offering our suggestions on possible improvements. We dig deep and ask what the purpose of the app is, and what a successful app looks like to you, creating KPI’s for us to reach as well. From there, we create an extensive proposal, outlining the key technologies we’ll be using, with features of the app and a timeline for launch. User experience is everything to us at Regent Branding, which is why we take it extremely seriously. To us, UX is the heartbeat of an app, the element that keeps it alive in the minds of your users. We’ve dissected the user experience of hundreds of top apps and come up with a blueprint of what makes an app a pleasure to use. We firstly mock up wireframes and run them passed you for validation, to ensure you buy-in at every stage. We then start prototyping your app online, focusing on design and usability. We then progress to interaction design and finally skin the interface to make it look visually stunning. A beautiful app is all well and good, but the back-end is just as vital. We regularly use AWS and Google Firebase in our apps, to ensure users get the best possible experience from them, and so that you’re future proofed against any changes, as well. Many apps need database structures, which is why we separately define exactly how your app will work in terms of API’s, middleware, CMS setups and how best to unify data if it’s cross-platform. This forms the spine of the app, which links straight into it being a great user experience for people downloading it. Every app we make is future-proof and tested extensively to ensure it performs perfectly on both iOS and Android devices. You’ll also get all necessary documentation for the app to ensure future upgrades and tweaks are swift and painless. We don’t think developing your app is enough- we want to help ensure it gets quality installs, too. Through our app store optimisation service, we create your app’s logo, screenshots, video, description, pick the correct keywords and position it to overtake your competitors. 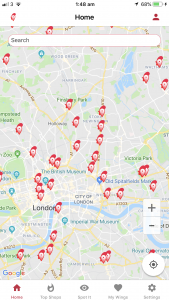 We then use tools like app annie and keyhole.co to track your progress and reviews, utilising influencer marketing to spur quality downloads. We support you post-launch with marketing services that’ll make your app a success with your customers. Develop you a mobile app that will quantifiably benefit your business and give it an unfair advantage over competitors. The Chicken2Me team came to Regent Branding with a legacy app that had several performance issues. 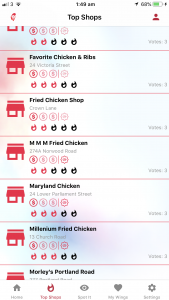 Chicken2Me was an app that functioned as a type of ‘Just Eat for Chicken Shops’, showing users nearby chicken shops along with reviews and feedback from fellow chicken-lovers. 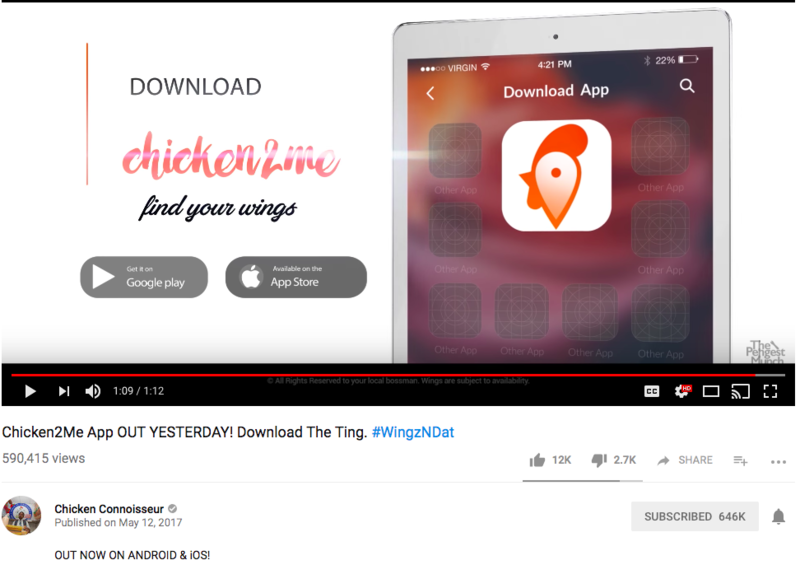 It was promoted by none other than the Chicken Connoisseur himself, sending it rocketing to the number 1 spot in the UK app store for food and drink. We decided to rewrite the entire app from the ground up, to ensure it had a robust framework for future upgrades, but also didn’t suffer from any legacy issues such as lagging and crashing. We introduced a SQL database and created 2 apps- one native to iOS and the other pure android. This approach took longer, but we were intent on delivering a quality app that the team could be proud of. We migrated all current data to the new database, and created a new, intuitive UI, which gave greater flexibility to the users and also left room for future improvements. The Chicken2Me team were kept in the loop for the entire project via email and WhatsApp (we prefer the personal touch), and gave invaluable input during key stages. We initially approached Regent Branding with a very popular app that had several glaring performance issues. We were working to a tight deadline with several major press events lined up for our phase two launch. From the outset, Regent Branding’s approach to the task of rebuilding Chicken2me was both professional and consultative. The developers gave new life to the project with their ideas and ability to execute tasks previous developers claimed weren’t possible. In particular, working with the vast amount of data the app uses, and remodelling how we structure our database was critical to ensuring perfect performance. The team also quickly understood our vision and aesthetic tastes, often surprising us with new ways to accentuate the chicken2me brand. Now we have the app we wanted from the start and the path to a successful future for our business has never been clearer. Chicken2me will continue to work with Regent Branding and would definitely recommend their team to all those looking to build the next big app. Ready to Bring That App Idea to Life? Just fill in the form, and we’ll be in touch within 24-hours (usually it’s sooner).